Home to perhaps the largest biodiversity, notably its collection of flora and fauna, India is emerging as a favourite destination for tourists, who come looking for eco-tourism experiences. Most states have launched their eco-tourism policy and are taking steps to ensure that not just the wildlife and the vegetation in their region is preserved, but so is the human culture, lifestyle and heritage. 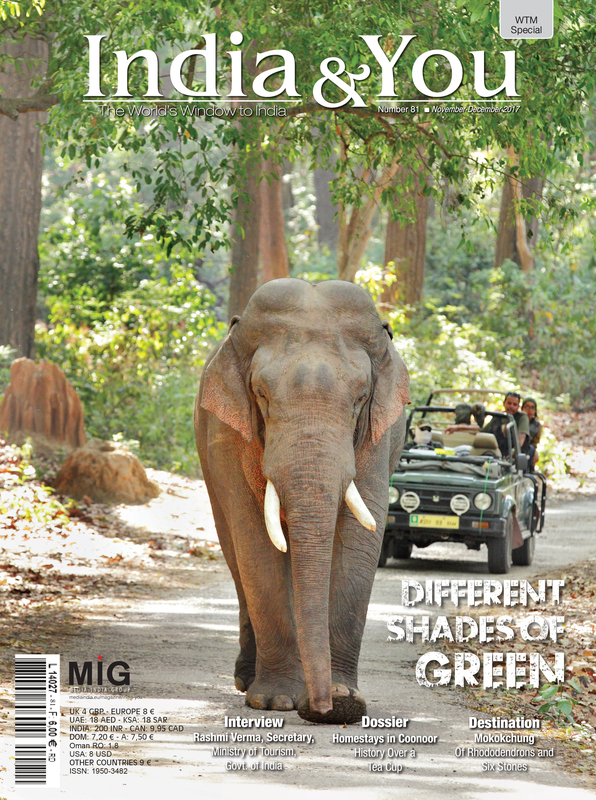 This issue of India&You covers a number of destinations and other subjects that touch the sensitivity of the subject. This year, World Travel Mart (WTM) in London has chosen eco-tourism and sustainable tourism as two of its main themes, allowing countries and companies in the travel business to exchange best practices in how to protect the environment and also boost tourism at the same time. To cater to these interests, and of our readers, in this issue we have put together a variety of topics, ranging from travel to fashion, talking about India’s sustainable practices.